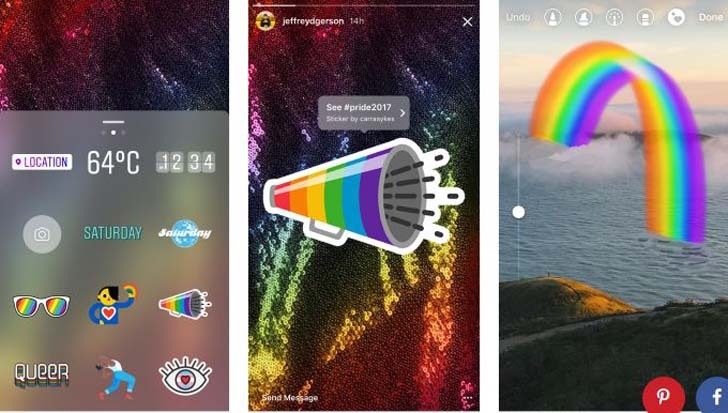 [post_ads]For this June only, new Pride stickers — including rainbow-tinted shades and a rainbow bullhorn — are available within the stickers tray in Instagram Stories. Simply take a photo, tap the stickers icon in the upper right-hand corner and scroll down to see your six exclusive options for Pride month. After you use a sticker in your Story or when you see one in a friend's Story you can tap the sticker to see who designed it and go to that artist's account.